There are some exciting new changes happening both with the ways webinar software platforms (like the big update on the soon-to-be-released GotoWebinar announcement) and the way that webinars are being employed by presenters and organizations. Webinars use internet technology that allows us in a way to connect in real-time with people with global reach. 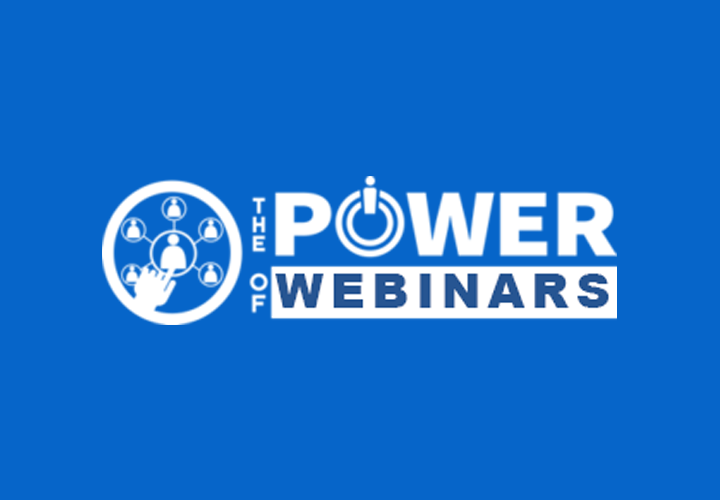 Webinars are change the way we learn and connect because you are no longer forced to attend an in-person meeting locally or take a plane to attend a seminar. Just like Google has replaced the library for many people, webinars have changed the way presenters (teachers/trainers) share for the purpose of educating, information, selling. Demonstrating and most importantly directly interacting with audience members who become active participants. Additionally, with budgets cuts and the easy access to high-speed broadband Internet webinars are becoming increasingly popular. Online webinars allow companies to save money on travel, catering, and venues, all of which are costs commonly associated with face-to-face seminars. If you want to learn something about a particular topic of interest, webinars are one of the best ways to expand your knowledge by learning directly from the experts. A webinar is a live web-based exchange using video conferencing technology over the internet to connect the individual hosting the webinar to an audience–the viewers and listeners of the webinar from all over the world. Ideally your attendees are participants and taking part not just passive. Presenters can show themselves speaking on video, switch to their monitor for slideshows and demonstrations, and even invite guests and attendees to co-host and be part of the webinar experience. Why Host Your Own Webinar? Webinars are also excellent tools for educating your prospects, conducting live interviews with other professionals, demos and of course, selling. Selling can be direct, meaning they link provide goes to an order form, or it can be two-step, to an application or phone call opportunity. A webinar can teach something, be a promotional presentation or it could serve both purposes. Professionals use webinars to give educational presentations related to their businesses and connect with their audiences in a much closer way. If you’d like to host your own webinar, you need to choose a webinar service provider. They’re usually not free to use over the long run, but most of them offer some kind of free trial period for 30 days or so. Webinar service providers may require you to download an application first in order to access the webinar. The two webinar platforms mentioned are not browser based. You will need to download software to your device in order to participate in a webinar. GoToWebinar / GoToMeeting is well-established the webinar arena. The service is feature-rich and includes everything you could want: screen-sharing, HD video conferencing, recording, mobile apps, keyboard and mouse sharing, and 1-click meetings. This business stalwart connects with anyone on any device. It isn’t a free webinar service, but it offers a free 14-day trial period with no credit card required for up to 50 attendees, which should be long enough for your evaluation. GoToWebinar is owned by LogMeIn. Zoom offers a free plan for up to 100 participants. The free plan has many of the features of the paid plans, including video conferencing, web conferencing, group collaboration features, and security. However, the free plan limits webinars to only 40 minutes. This can give you a good feel for the service’s capabilities. Whether your webinar is for online meetings, training, technical support, or marketing events, Zoom can meet your needs. With the paid plans, Zooom provides cross-platform messaging and file sharing for up to 500 video participants and 10,000 viewers. Zoom was developed by former WebEx employees. Most webinars start with a registration page and presenters ask you to reserve your spot by clicking on a link in an invitation email–especially if the webinar allows a limited number of audience spots. Many presenters will send out at least one reminder email an hour or a few minutes before the webinar is about to go live. Some hosts will even go as far as to host two webinars of the same presentation to cater to large audiences–especially if they’re from all around the world in different time zones. When it’s time to tune in and watch the webinar, audience members use a custom link or even a password in order to get in to the webinar event. For some webinars, there’s even an option to call in by phone to listen. Some presenters will also give their audiences access to a replay of their webinar if they weren’t able to attend the live session. What Are Webinar Platform Features? Slide Deck Display: You can display a slideshow presentation using MS PowerPoint or Apple’s Keynote, just like you would in a regular classroom, meeting room or lecture hall. Talk to your audience: Webinars use VoIP to make real-time audio communication possible. Chat: The host can open up a chat box to text chat with the audience, which is especially helpful for audience members wanting to ask questions. Demo/Edit: The host can often use their mouse to create annotations, highlight things or create markings on the screen. Stream video: Show a video either stored on your computer or found online, such as on YouTube. Conduct surveys and polls: Some webinar providers offer the ability to create polls given to audience members for quizzes or survey purposes. Thanks to our friends at life wire for this. Record everything: Webinars often provide an option for the host to record their entire presentation—including all visuals and audio. However, due to their typically large attendance and use of technology, webinars need careful planning in order to be successful. This is why those planning on hosting a webinar need to take their time to ensure that they properly go through all the necessary steps which will ensure the webinar’s success. There is extensive information on this subject in the book, The Webinar Way, available on Amazon, here. A webinar is an event and could be considered a mini-launch. The easiest thing to do it to set your date and time zones. Then choose your webinar software platform. This is usually connected to the webinar registration page so you can properly email attendees. If you choose to advertise on Facebook, you may consider using an automated chat service for reminders in Messenger to help with the show up rates. Of course creating the marketing around the webinar, and invite your audience. Be sure to keep track of your responses, so you know who will attend your webinar. By closely monitoring of your attendee list, you will be able to plan your follow-up ahead. Decide if you will offer a recording. If you’re linking your webinar to an online marketing campaign, you can use the recording in any e-mails that you send out, reinforcing your message. Develop the presentation (don’t be a talking head – if that is your style, use Facebook live or YouTube video), and the practice “dry run” needs to be set in place. Plan for a Q&A session, since your attendees will likely have some questions. The presentations are highly visual and engaging. Get creative and your webinar will come to life. 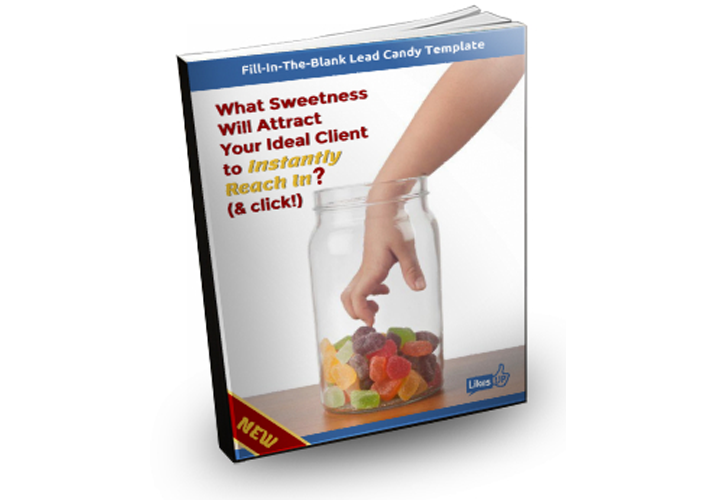 Following-up on a webinar is extremely important. Remind your participants of what was discussed, and conduct a survey to gather their thoughts on how the webinar went. If you are planning another webinar, perhaps in a series that is of interest to your audience, make sure to let them know when they can expect an invitation. 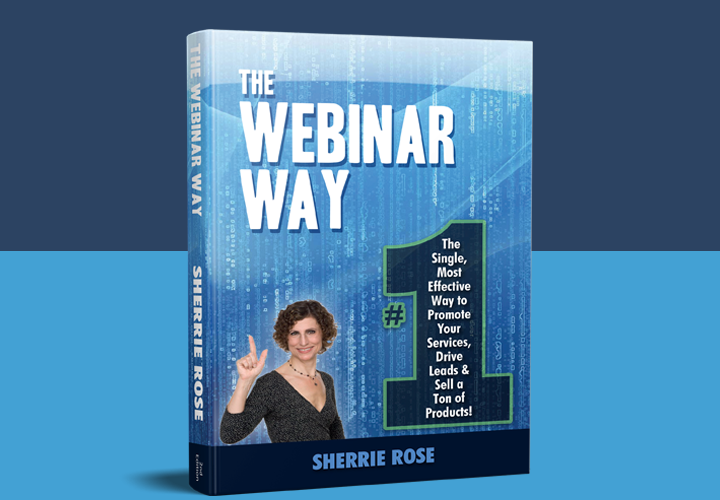 The Webinar Way by Sherrie Rose: Connect to your audience, turn stories into sales, and cash-in on your next payday webinar. Discover the “7 Pillars,” the WAMO approach and the 3C by 3T Matrix. *FREE* for a limited time on Amazon. Login to your Amazon account and search for “The Webinar Way” or click this link Get the free Kindle Cloud Reader. 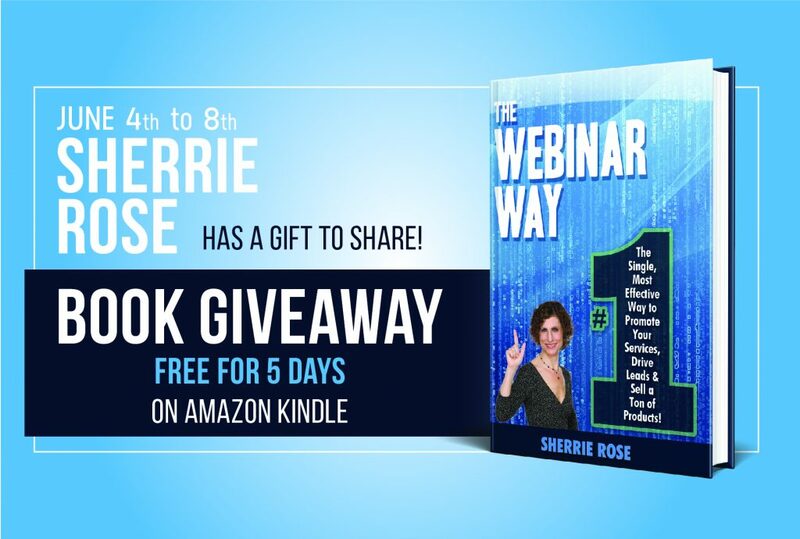 The book is FREE EVERYDAY when you buy The Webinar Way Paperback edition. You get a free Kindle “Matchbook” because of your purchase of the print version. If you are a Kindle Unlimited customer, you can get a copy of the Kindle version of The Webinar Way free because it is included in your membership. You can give the book as a gift by sharing The Webinar Way in the buy for others section on Amazon Give as a gift or purchase for a team or group.